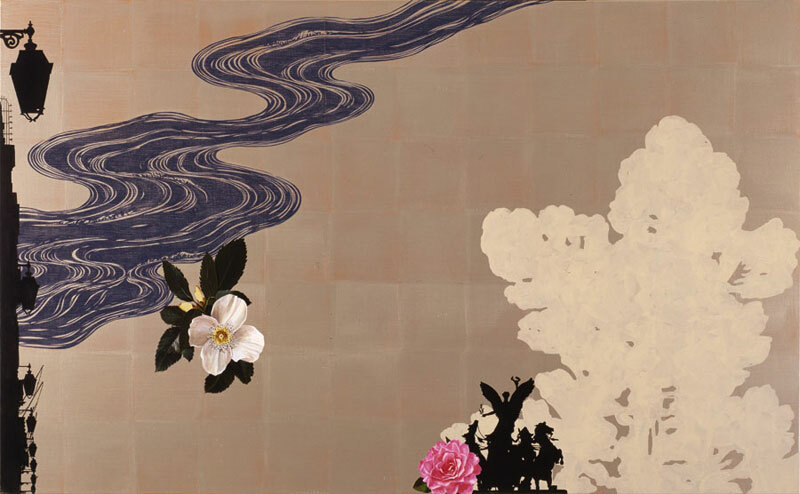 Inspired by a trip to Japan, these paintings contemplate changes in nature and life. Winter City Night, 2007. Acrylic on Linen, 44" X 48". 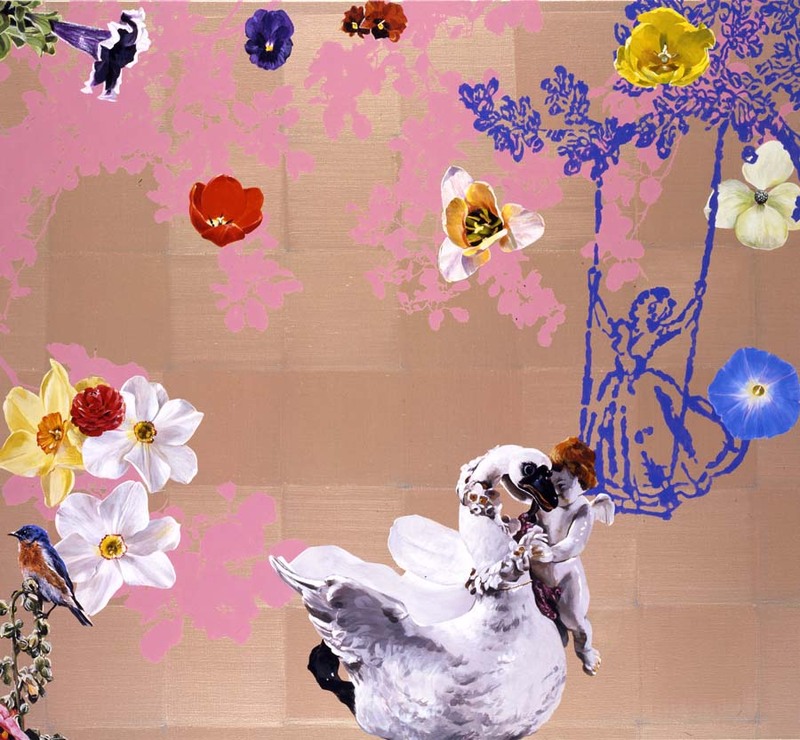 The Promise of Spring, 2006. Acrylic on Linen, 44" X 48". 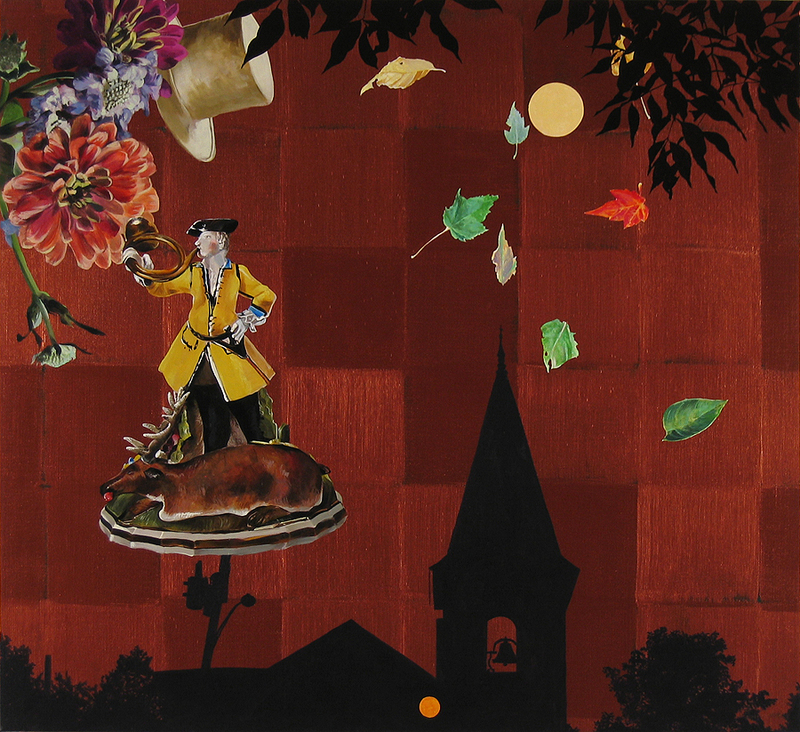 Fall Hunter, 2006. Acrylic on Linen, 44" X 48". 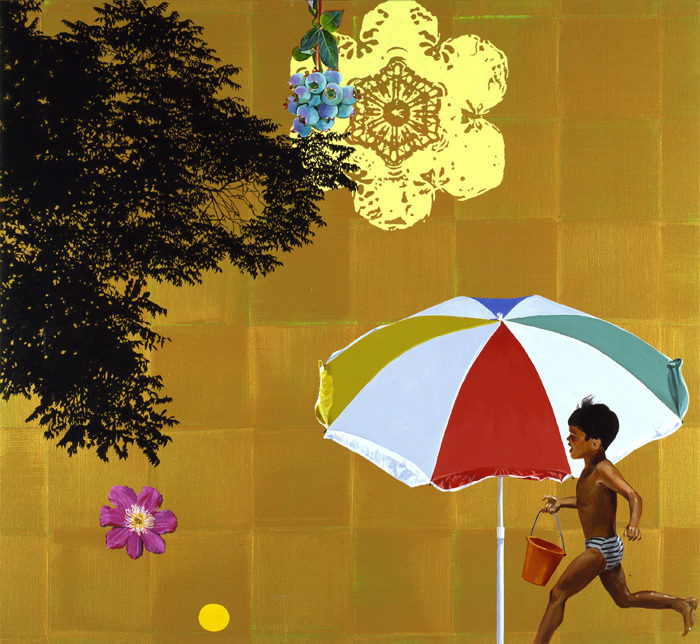 Gold Summer Boy, 2002. Acrylic on Linen, 44" X 48". 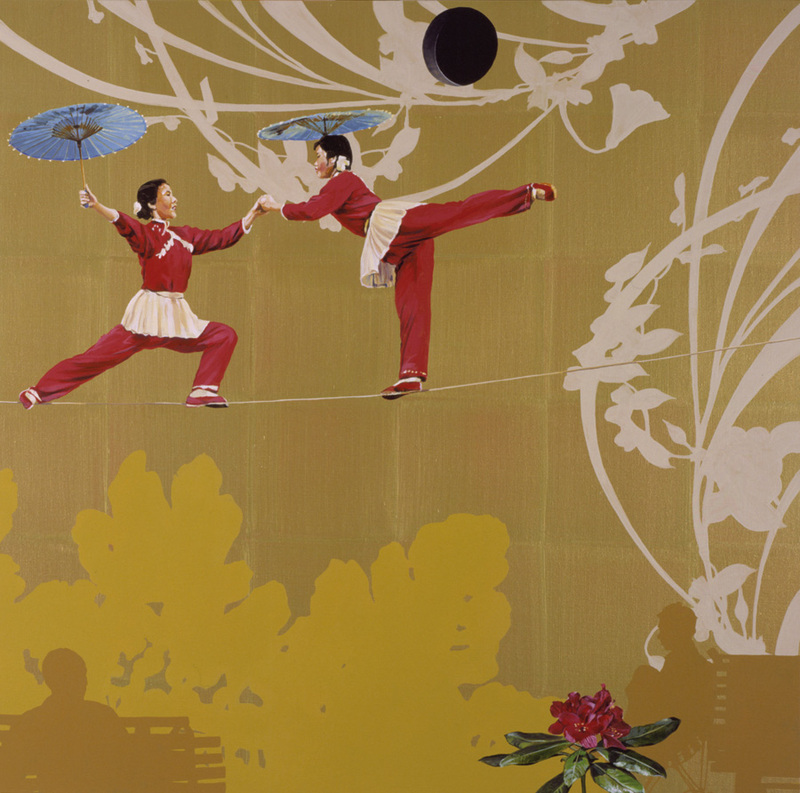 High Wire Act, 2001. Acrylic on Linen, 39.5" X 39.5". 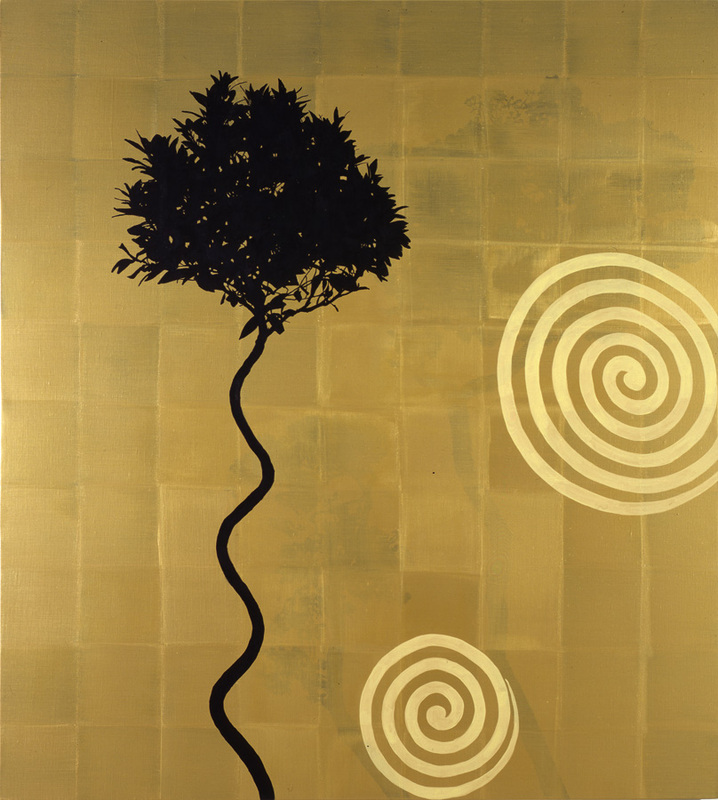 Copper Fall (The Four Seasons), 1999. Acrylic on Linen, 44" X 48". 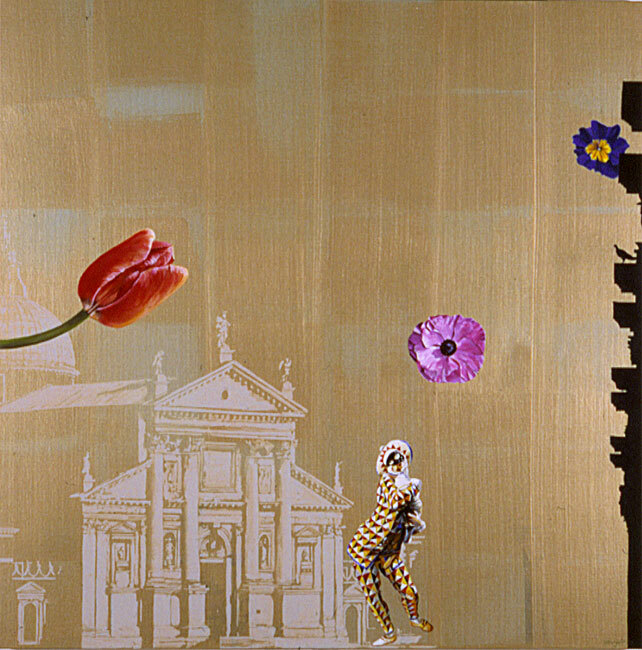 Della Salute, 1999. Acrylic on Linen, 39.5" X 39.5". 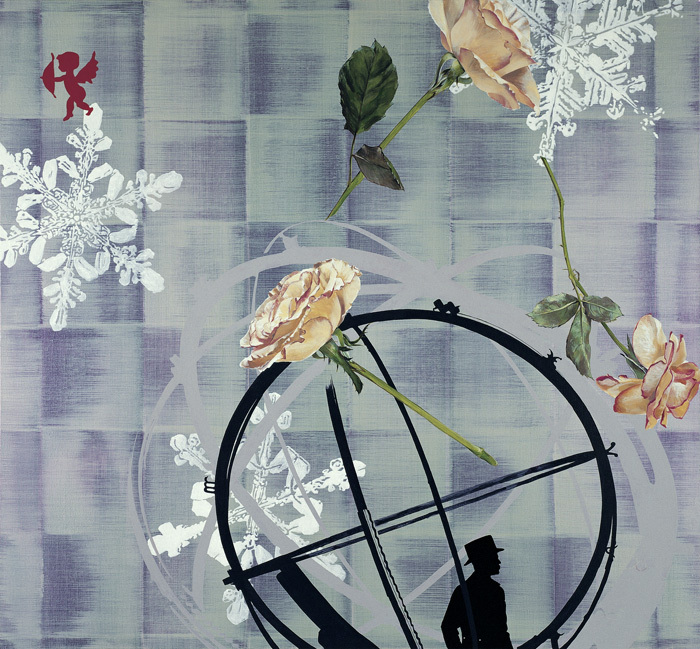 Magenta Winter (The Four Seasons), 1999. Acrylic on Linen, 48" X 44". 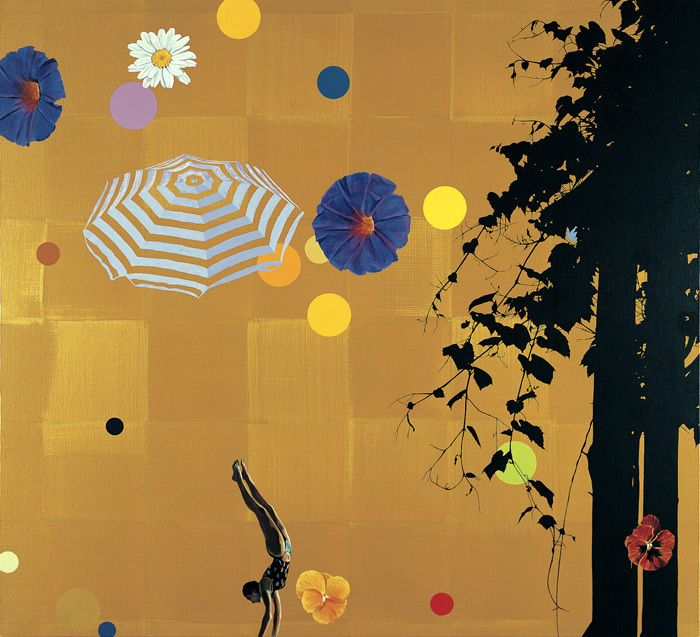 Summer Gold (The Four Seasons), 1999. Acrylic on Linen, 44" X 48". 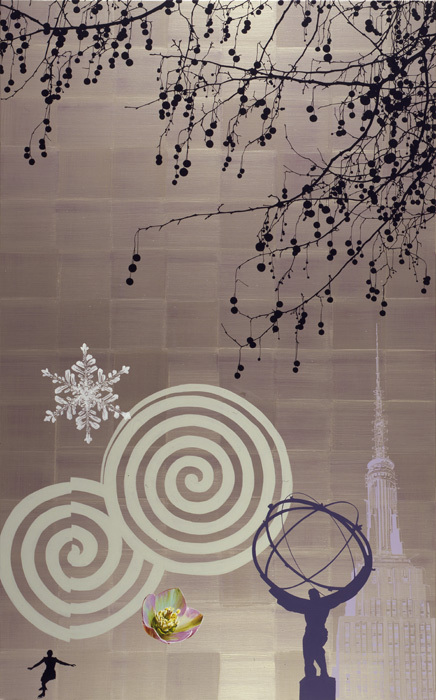 Winter White Gold, 1999. Acrylic on Linen, 44" X 48". 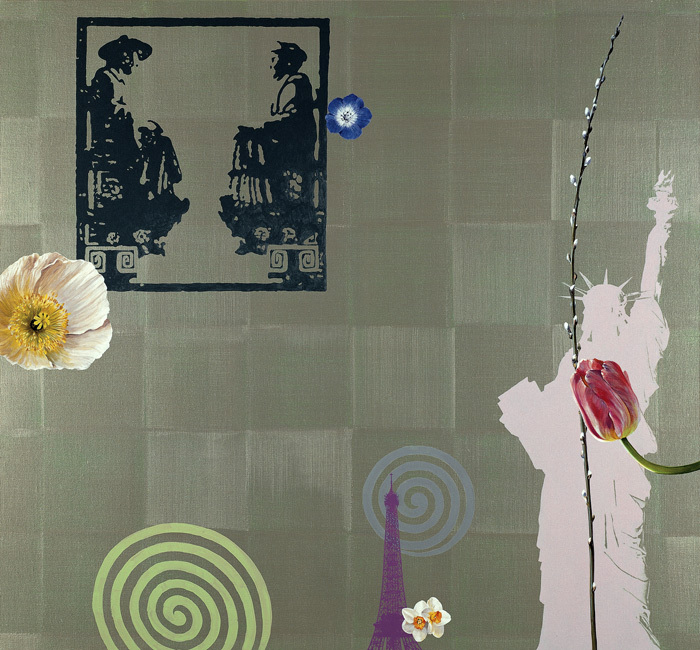 Gold Flore Spring (The Four Seasons), 1999. Acrylic on Linen, 44" X 48". Holiday, 1998. Acrylic on Linen, 44" X 72". 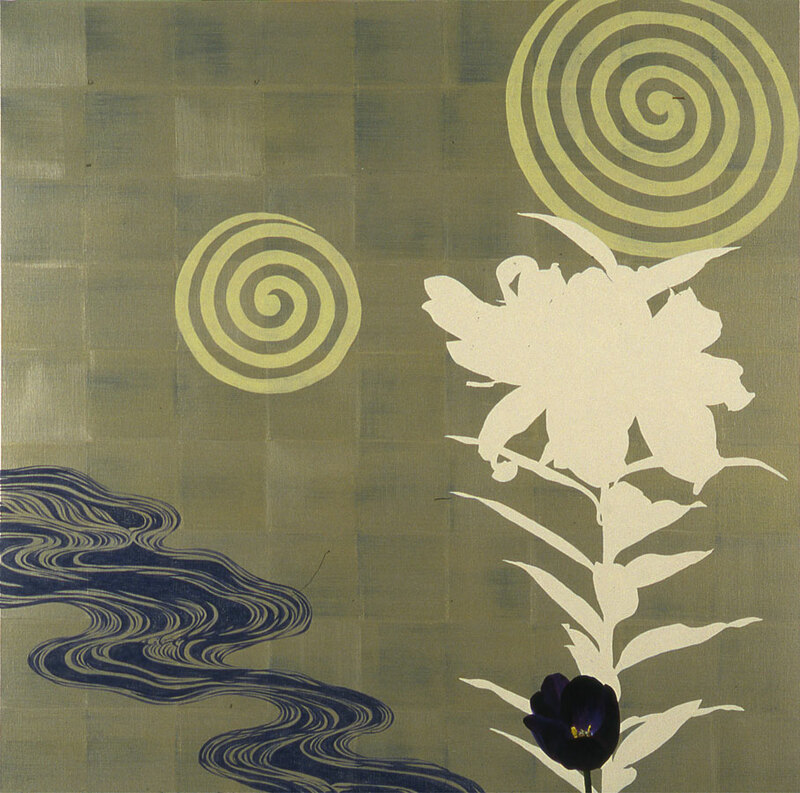 Plum Tulip, 1998. Acrylic on Linen, 54" X 54". 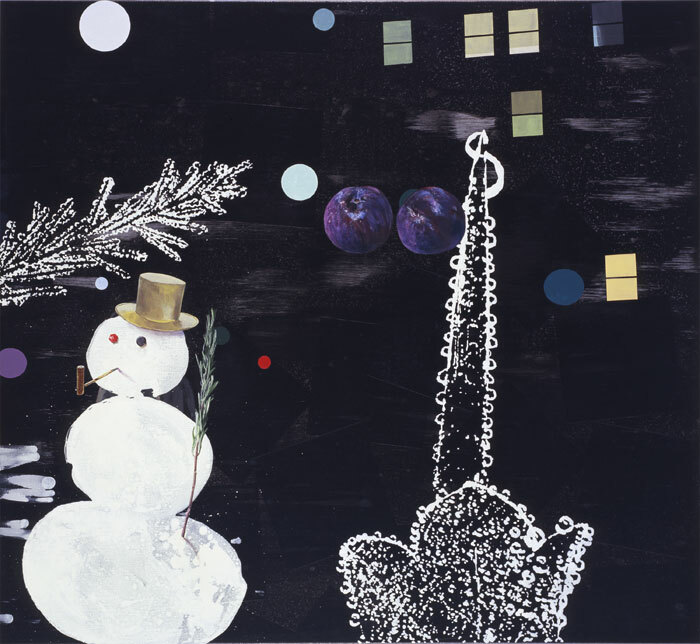 Winter II, 1998. 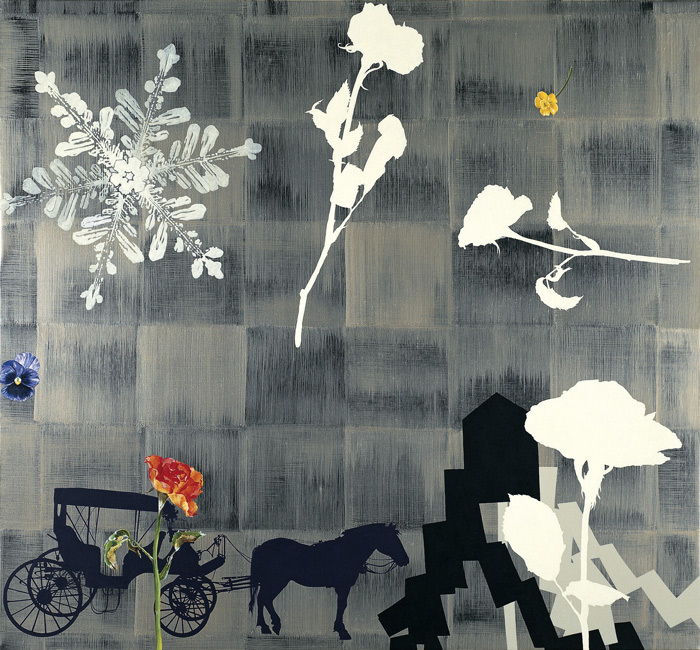 Acrylic on Linen, 84" X 52". Bond Street, 1998. Acrylic on Linen, 60" X 64". Gold Spring, 1996. 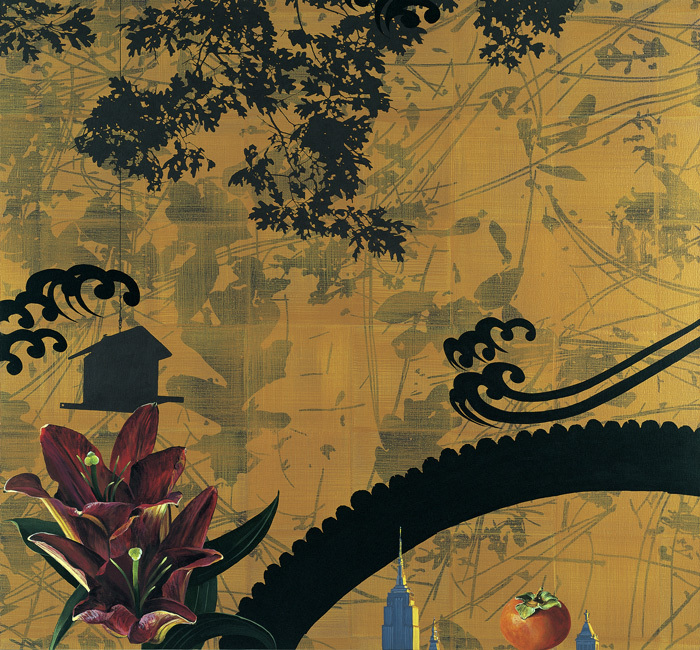 Acrylic on Canvas, 48" X 96".